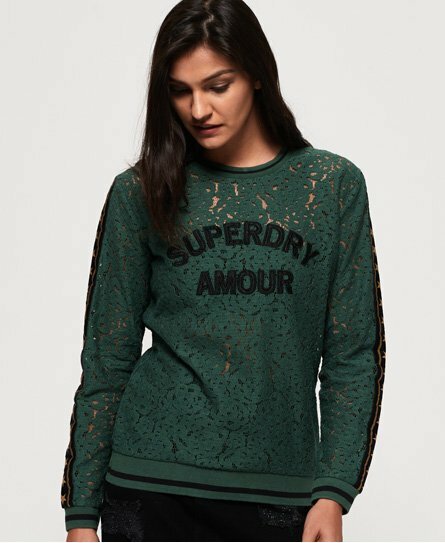 Superdry women's Rock lace long sleeve top. This long sleeve top features a crew neck, an applique Superdry logo on the chest, and stripe detailing around the collar, cuffs and hem. The Rock lace long sleeve top is completed with panel detailing down the sleeves and a Superdry logo tab on the hem.